Calling bacon lovers everywhere! These novelty socks for men are a must have for anyone who loves the fresh and crisp taste of bacon for breakfast, lunch, and dinner. 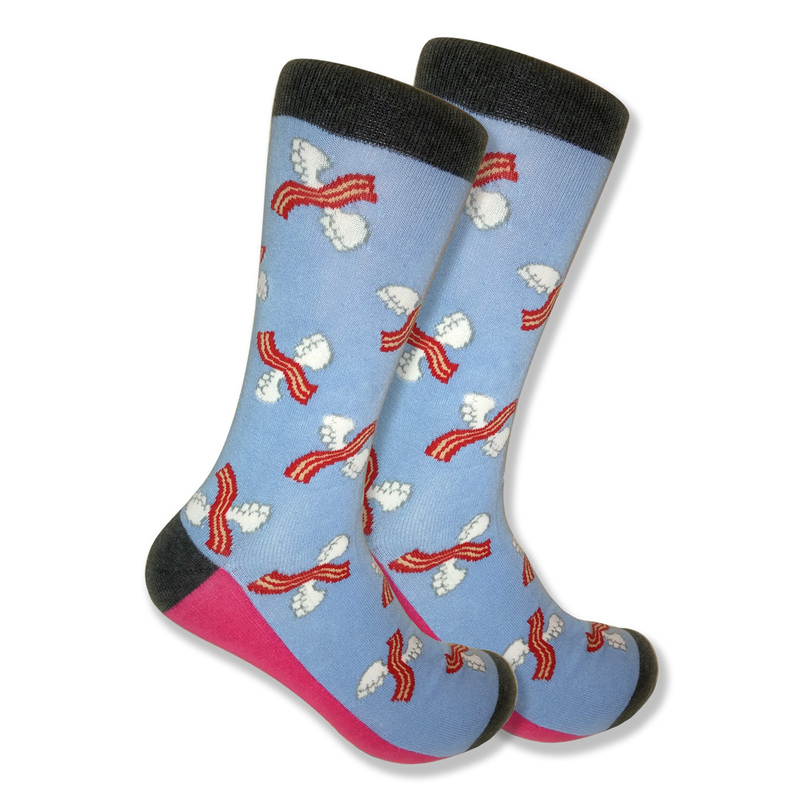 The mistmatched colors of these flying bacon socks, bring them the attention they deserve! The light blue sock symbolizes our daytime love of bacon, while the dark black sock shows our late night cravings for it. These socks are made from comfortable and breathable materials, including spandex, cotton, and polyester. They are antibacterial, so wear them out for a jog or simply enjoy relaxing in them at home. either way these unique socks are sure to grab the attention of everyone in the room.